Everyone loves to have a great smile. Yes, we all do. Having a good dose of confidence about our teeth and smile is very important. With little help, we can all get that perfect smile we seek. Several years ago, there is only one option to straighten the teeth but now there is a new option available to us because of the advancement in technology. We now have clear Invisalign aligners, a perfect alternative to traditional braces. Even though braces are still an option for fixing crookedness in the teeth, they are not the only game in town now. Unlike the traditional braces which makes use of brackets and wires to straighten the teeth, Invisalign, with its clear plastic aligners has taken teeth straightening to the next level. Invisalign uses custom-made retainers which slowly moves your teeth into position over time. Though works in a similar way to braces, Invisalign is conveniently removable and transparent making it virtually invisible to anyone. Gradually, your teeth shift into their proper place, creating that winning smile. However, apart from convenience and invisibility, there are many other reasons you should also consider Invisalign. Below are the top 7 reasons you should consider Invisalign treatment. Invisalign is just as effective as braces. Overbite, underbite, overcrowding, and gaps between the teeth are all things which can be fixed with Invisalign. You will be fitted for several versions of retainers which make little adjustments to shift your teeth to the right positions over the course of the treatment time. They are created from acrylic material or clear plastic, giving you a firm grip around your teeth. Utilizing braces can add to our insecurity. We all hate moving around with a metal mouth as it can be embarrassing most times. Invisalign as a way forward as it completely eradicates that feeling of anxiety, allowing people feel confident and free at all time. When you wear braces, there are a lot of food substances you cannot eat. For instance, someone with braces can’t eat apple, popcorn, raw carrots, and most especially, candy is a no. But with Invisalign, you can eat whatever you want; all the many setbacks that come with braces are removed. Depending on the teeth that need to be moved, Invisalign could take between 10 and 24 months. Usually, treatments may be shorter at the dentist office. You will also won’t need to visit the dentist as often. After the first treatment, you must visit your dentist’s every 6 weeks to get a new pair of aligners. When you wear them during sporting activities, they can help protect your teeth. Using Invisalign during group sports or mountain biking will give you an added layer of security. 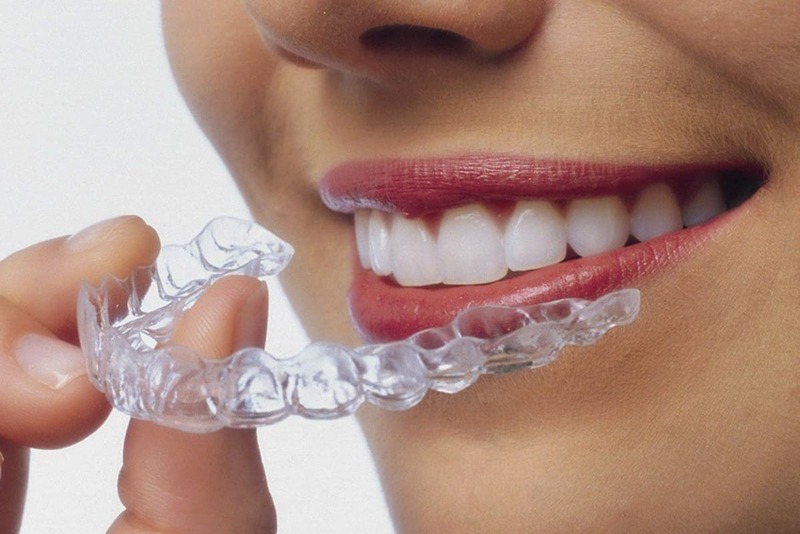 Your retainers can be used as a mouth guard which protects your teeth from grinding when you sleep. As an added advantage, you can also use your retainers to whiten your teeth. Because aligners are removable, they make brushing and flossing easier. This helps you keep proper hygiene. When you have crooked or cluttered teeth, it is always a bit harder to clean which gives bacteria a free playground in your mouth. Once your teeth have moved, it becomes easy to clean. Although this is among the least important factors, it remains one of the major reasons people are considering Invisalign over traditional braces. The fact that Invisalign can be removed at any time makes it even a more preferred option to people, and its invisibility is also a bonus. Invisalign is good and has proven to be the best solution to fix most orthodontic issues. Do you still have any concern or questions about Invisalign and why you should consider it? You can schedule an appointment with us today.